Piotr Kalinowski is an award-winning interior architect, known for his work with big hospitality brands from boutique hotels to five stars. Currently launching new design studio called MiXD as CEO and Design Director. 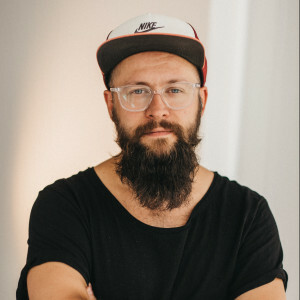 The work ethics and disruptive approach led Piotr to position capable of changing status-quo for interior design market, introducing mobile technologies, innovative employees workflow management, creating a new dynamic wave for commercial interior design in Poland. With MiXD launching global in 2018, the design process is evolving to not only design hospitality but also enhance guest experience with tailored social media engagement and brand development. Multidisciplinary approach gained attention by London based boutique brand, which led to concept being developed for early 2018 to be launched in Warsaw. Also Piotr and his team is involved in eco-driven project on Bali, designing interiors for luxurious sustainable condo-apartments, involving garbage usage and construction waste into the interior design. Piotr is looking forward to work with local and international brands to help clients and investors from around the world with rapidly changing market. Focus includes millennials friendly hotels, zero-waste design and being familiar with social media driven world, treating the fast change as a challenge accepted with solid interior design.